Located mid way between Boston and Providence, Wrentham's three lakes, substantial conservation land and open space, and small town New England charm create a comforting sense of peace and quiet. Easy access to Gillette Stadium, Boston, Providence, Worcester, and Cape Cod puts a vast array of exciting cultural, sporting, and gastronomical activities and opportunities well within reach. 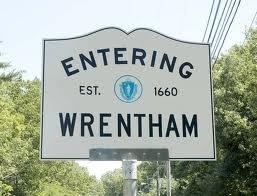 By maintaining the delicate balance between economic growth and conservation of her natural environment and scenic beauty, Wrentham has succeeded in providing residents and visitors alike with the very best of life in a small New England town.